This is an amazing watch, and a limited edition of 100 pieces. 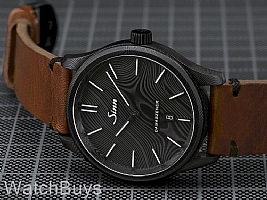 The Sinn 1800 S is made from Damascus steel (German: Damaszener Stahl). Many of you may be familiar with this type of steel as it is used in the production of fine knives. The dial and central part of the case are forged from a complete steel block rather than designed as separate components. The result is striking, as the Damascus pattern on the dial continues throughout the entire case and case back to create a unique pattern. Because of these patterns, each watch can be considered a unique piece. Damascus steel has fascinated humankind for centuries. It gained its legendary reputation above all in the making of swords, knives and blades. Damascus steel is a combination of at least two different types of steel, layered to create the unique surface design. The piece is then forged, halved while in a glowing state and layered together again. Experts refer to this as "folding". By combining soft and hard steels, a new kind of steel is created, one which displays properties of both. In the final stage of production, the Damascus pattern is made visible through surface etching. The steels are dissolved to varying extents by acid, thus forming the typical light and dark nuances. The use of Damascus steel in the making of watch cases is particularly challenging with regard to corrosion resistance. 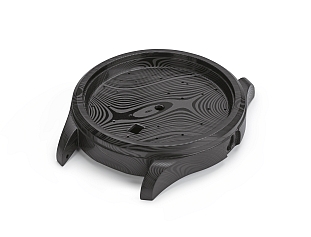 In order to find a technical solution, Sinn adapted recent developments in materials engineering. 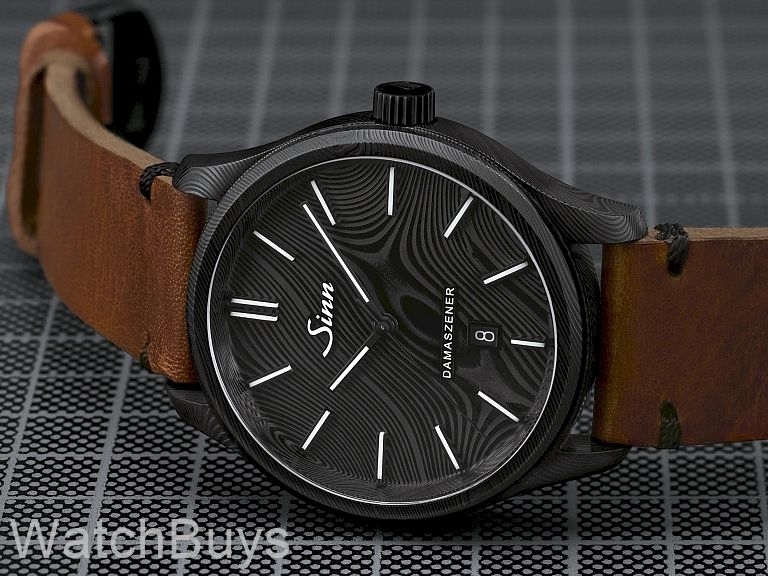 Sinn further employed their proprietary black Tegiment hardening technology to not only protect the case from corrosion, scratches and abrasions, but also to enhance the patterns in the Damascus steel. Finally, Sinn employs appliqués to complete the dial.